Doing a season in Meribel you get to ski the entire Three Valleys region. With 8 resorts and 600 kms of interconnected slopes there is an abundance of slopes to enjoy, suiting a wide range of abilities. It has one of the best snow making facilities in Europe and the snow cannons cover 50% of the slopes. If you’re a more adventurous skier or boarder there is also extensive off-piste. You can ski a magnitude of different runs across the Three Valleys, ensuring you’ll never get bored of doing the same old runs and that you’re always faced with a challenge. 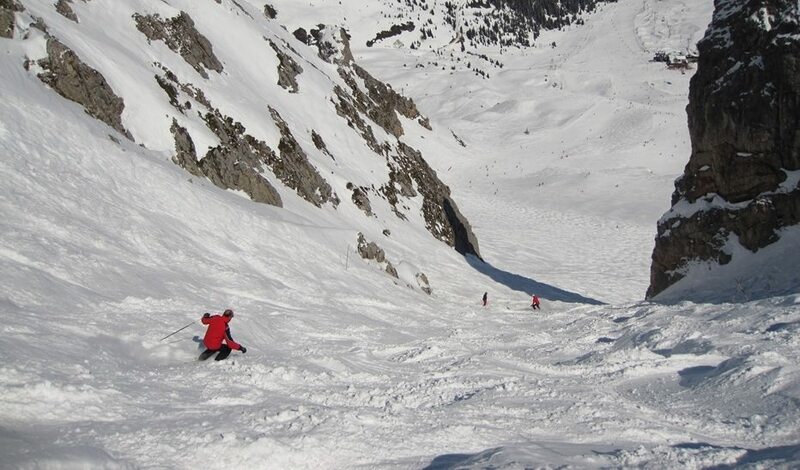 For the more adventurous skiers and boarders there is always the challenge of the Courchevel Couloirs. The only couloir marked on the map as a piste is the Grand Couloir, and it is one of the five hardest runs in the world. You follow a very narrow path at the top (probably the scariest part) until you reach the top of the face. With the gradient at some points reaching 80% the mountain seems to fall away beneath you. In fresh powder and with an early ascent you can hope for a smooth ride down. But if you hit the couloir too late in the day after a fresh dump you will be faced with a seriously challenging mogul fields. If you want to say “I can ‘do’ moguls” … then tackle this! For those who dare to go even further there are four other couloirs to take on. The climb to the top of these couloirs is sketchy to say the least. Sharp drops, rock scrambling and steep ascents, it takes some nerve to conquer these climbs but the reward is worth it. 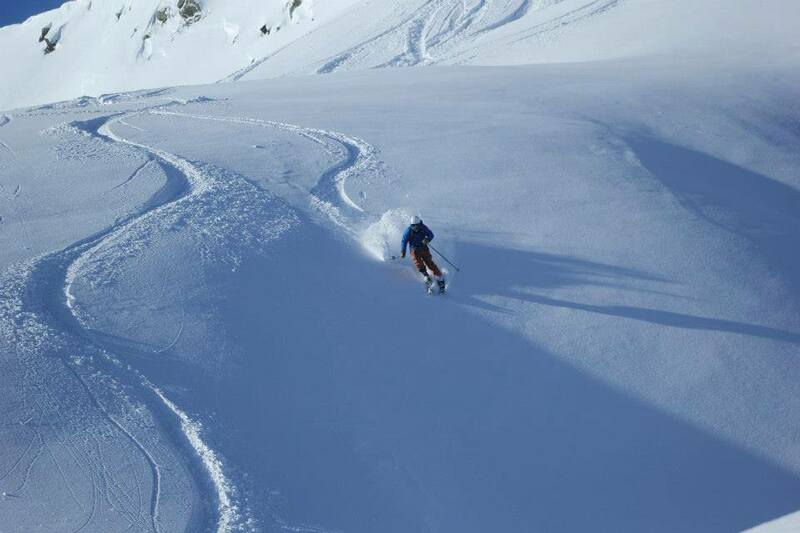 Untouched powder, fresh tracks and an amazing run, riding the couloirs is a highlight of any season and there’ll be ample opportunity to tackle the couloirs on the Basecamp All Mountain Course and the Basecamp Performance Course. Meribel Elements Park, with multiple kickers, rails, tables, boxes and rollers, is ideal for both beginner and intermediate freestyle skiers. The boardercross route is perfect for those wanting to get a feel for freestyle riding. Entry level boxes and kickers are ideal for learning new tricks as well as perfecting old tricks, and with a few larger kickers, you can test your skills at a higher level. The park also has video cameras positioned throughout the park, providing footage of your run through the park so you can relive your first corkscrew 720 over and over again. If you’ve nailed the Moon Park or consider yourself a more advanced freestyle rider then its time to hit the DC Area 43 Snowpark. The DC Area 43 Snowpark in Meribel-Mottaret is the biggest in the Three Valleys and tempts the most serious freestyle riders. The park boasts a full-size half pipe, huge kickers, and advanced rails. The half-pipe, with its high walls and steep drop, provides big air, ideal for tricks. Advanced freestyle riders tend to favour grabs on the huge kickers as they carry 25m and more in the air. A high level of skill or an extremely high pain threshold is essential for the advanced rails. A successful trick is an awe inspiring sight, whilst a tiny mistake will not only damage your body but also your ego. If you’re a serious freestyle rider DC park is the place to go, and if you’re not quite there yet then the Basecamp Performance Course includes specialist freestyle instruction guaranteed to improve your freestyle skiing…you’ll be bossing both the Moon Park and the DC Park in no time. Meribel has some incredible off-piste skiing and when there’s been a fresh dump of snow you’re guaranteed an epic powder day! The area around the Cote Brune chairlift is a great place to hit the fresh powder. But for the best decent its worth hiking a short distance…fresh tracks and incredible powder await. There are many other descents to explore, both in Meribel and throughout the Three Valleys. Regular dumps of snow and extensive off-piste means there’ll be many awesome powder days. With a little imagination you can drop into descents and ride the most incredible powder. Doing a course in Meribel with Basecamp you’ll get to enjoy loads of powder days and whilst a day on the slopes is the best way to spend your day, the best days skiing are powder days. Do a course with Basecamp and you’ll learn from the best. The Bascamp instructors are the best and most exeprienced instructors in Meribel. The instructors have been skiing/snowboarding and teaching for years and they’re the best people to learn from. 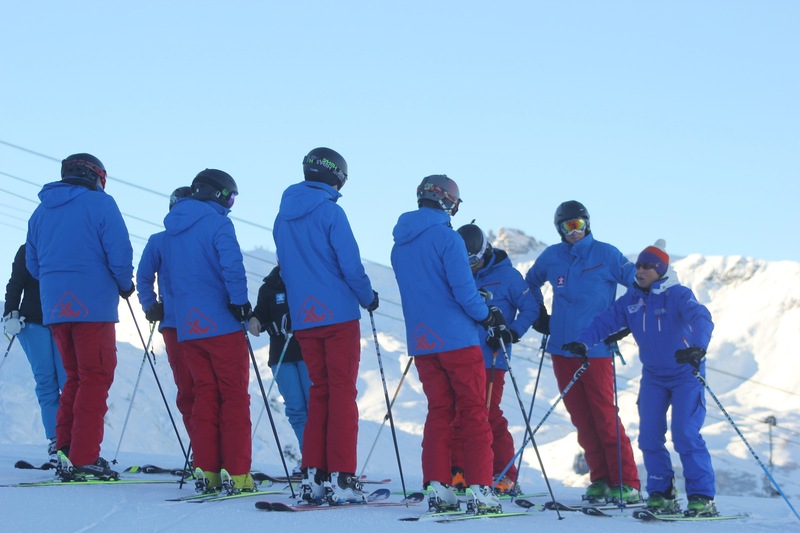 Doing a course in Meribel you’ll receive coaching from BASI ISTD Level 4 instructors who can significantly improve your skiing and help you pass any qualifications. Go to Meribel on a course with Basecamp and you’ll receive world class coaching. With multiple red and black runs Meribel is ideal for speed. You can really test your nerve on a number of runs and hit speeds of over 100kmph! Timing is important, you don’t want to hit anyone at that speed, but doing a season or a 11 week Basecamp Course in Meribel, rather than just holidaying, means you’ll get to experience the slopes at their quietest, providing ample opportunity to straightline it down a black. Snowfall changes each season but generally the Three Valleys has plenty of snow to last the season with regular dumps of fresh powder. 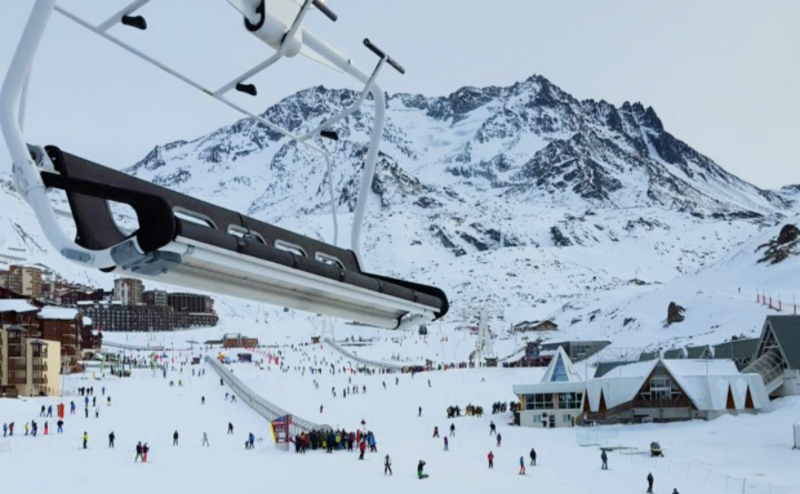 Val Thorens, has slopes as high as 3230m, and the Glacier de Peclet ensure good snow conditions throughout the season, so even when you’re enjoying the challenging slush skiing often famous during the last few days of the Meribel season you can easily pop over to VT for good snow. A number of heavy apres-skis is almost inevitable whilst doing a season, and apresing in Meribel is something you’ll never forget. The Follie Douce in Meribel, with extravagantly themed dancers and half naked bodies, provides a unique experience. The party atmosphere at the Follie is electric and with awesome DJ’s, plenty of booze and dancing on tables, its a guaranteed awesome start to apres. Closing at around five o’clock, its time to move the party on…to the Ronnie, AKA the Rond Point. At The Ronnie its pretty much always packed, and with a buzzing atmosphere it’s not to be missed. Whether you crawl home to sleep or follow through with a night out, apres in Meribel is an unforgettable experience. The nightlife in Meribel suits everyone. Some pubs and clubs stay open until the early hours of the morning ensuring a long and eventful night! Jacks Bar, Le Pub and O’sullivans are amongst the most popular, with loud music, great cocktails and an electric atmosphere they provide some sensational nights out in Meribel. If you’re not up for a big night out then Barometer provides a more chilled atmosphere. Meribel has the perfect balance so its ideal for every type of person wanting to do a season. 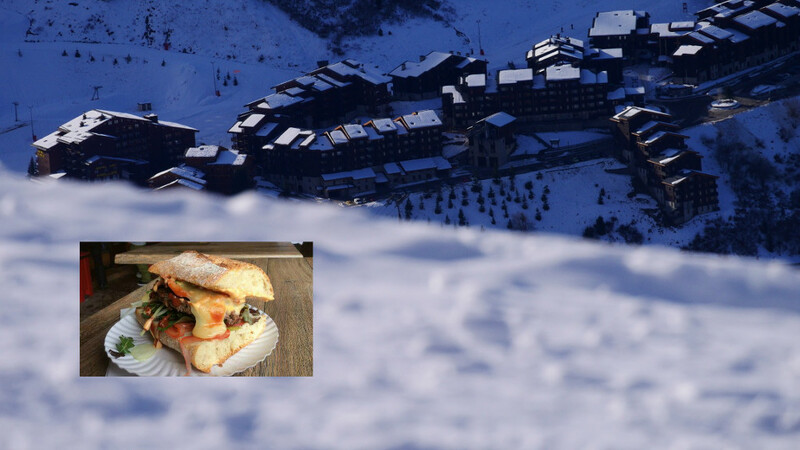 Infamous throughout the Three Valleys is the Mottaret Mountain Burger. Whilst the stand (the one right next to the Sherpa supermarket in Mottaret) offers a range of delicious burgers to chose from, including your basic burger (simple but still phenomenally good), and the more exotic Thai Chicken Burger, the Mountain Burger is one to go for. Huge in size with multiple fillings, it is a challenge to finish. Guaranteed this burger will be the best burger of your life. These jam-packed-full whoppers are famous amongst seasonaires, ski instructors and holiday makers. They are life changing and, only in Meribel! One of the highlights of doing a course in Meribel, aside from all the fantastic skiing, is that you get to go to the 3 Valleys Charity Day. The main idea behind charity day is to raise money for charity whilst partying. It’s an incredible day out with a BBQ, outside bars and live bands. Fancy dress is recommended with some going all out! Seasonaires flock to Meribel Village to hear the likes of DJ Deux Roux, Codfish, Bring Your Sisters and The Dub Pistols. 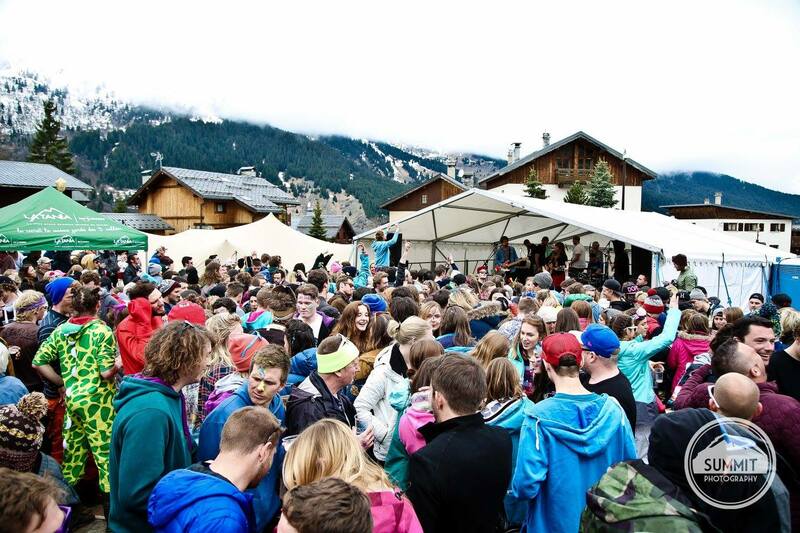 A festival-like party on the slopes, its a great day out during your season in Meribel. 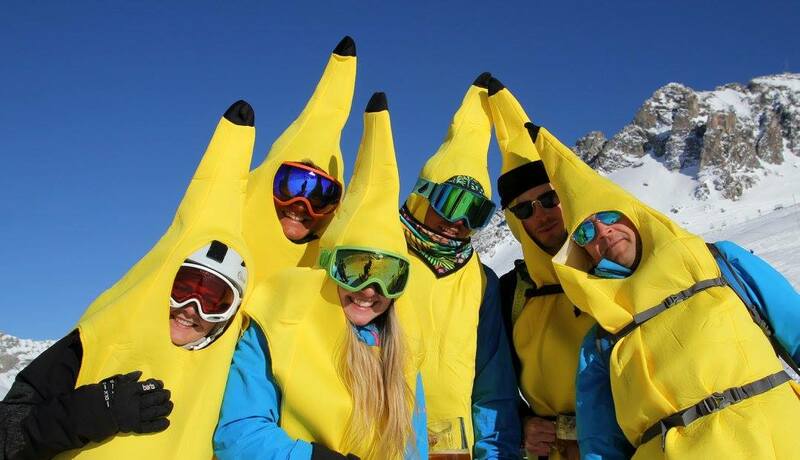 Every season will have at least one opertunity to wear fancy dress day this could be during our annual fancy dress ski day, This year it was as Bananas or maybe you will take part in the infamous 3 Valley Rally ? Also living in Meribel gives you access to the wonder that is Retro Rentals. You can hire a onesie for the day and night and ride the slopes old school style they also pop up and host some great apres ski parties. For the brave hearted, an added activity to enjoy, or endure, is the new Val Thorens Zip Wire. 1300 meters in length and starting at 3230 meters, it is highest zip wire in the world. Travelling for almost 2 minutes, you can reach up to 105 km/h. Its definitely one for the thrill seeker and worth a ride during your time in Meribel. 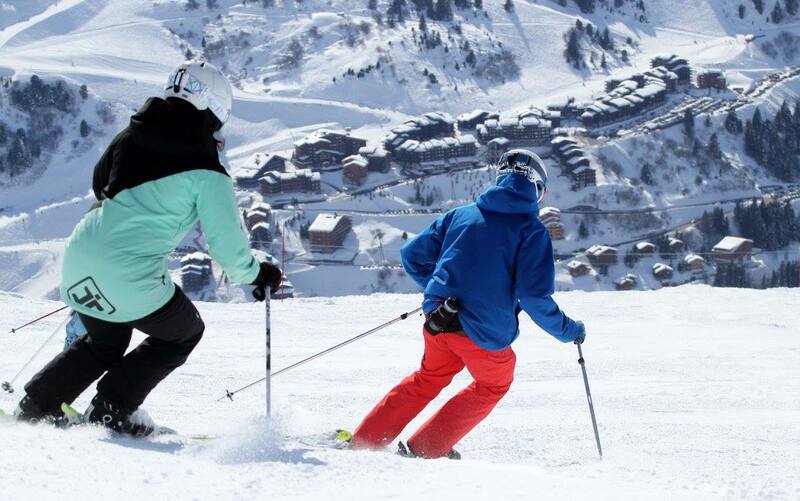 Basecamp offer a range of ski and snowboard courses in Meribel, helping you improve your skiing, and gain instructor qualifications. 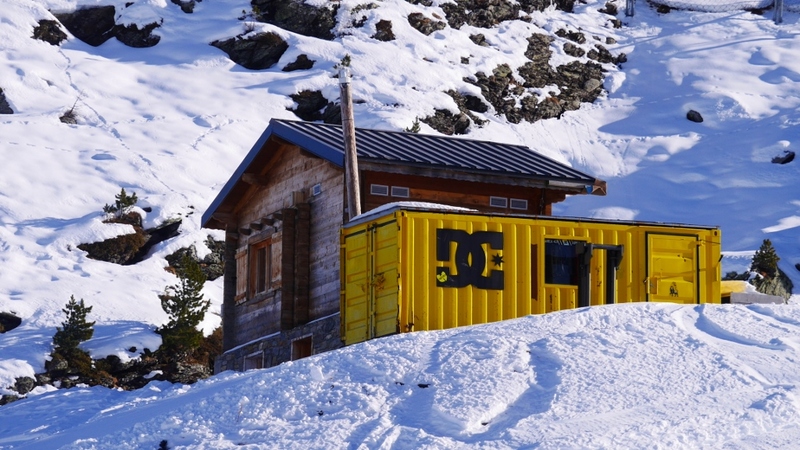 Go with Basecamp and you’re guaranteed an awesome season in Meribel. This entry was posted in BASI, Meribel, News, Snowboard. Bookmark the permalink.